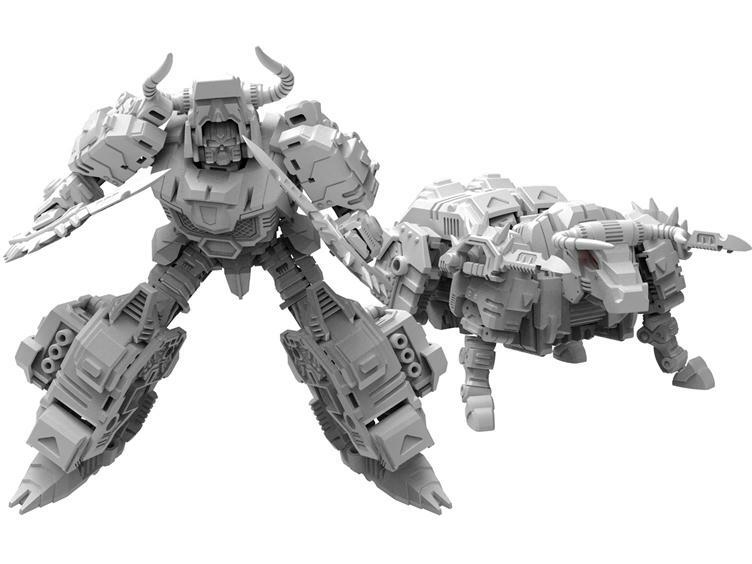 Mastermind Creations has just just revealed uncolored prototype images of the next figure in their unofficial Predaking combiner Feral Rex named Bovis the Supply Specialist! Not only that, the combined form of Feral Rex has also just been revealed, and GASP it looks awesome! Check him out below after the jump! We previously carried news that Mastermind Creation will be developing their own homage to the Transformers combiner Predaking. Further news is now available that figures from this project will be known as Feralcons, while the combined figure will be named Feral Rex. Not only that, the first release is now up for pre-order: R-02 Talon the Aerial Assaulter (Mastermind Creation’s take on G1 Divebomb). Check out the prototype image below!